Spanish Cove is one of the best kept secrets in Southern Alabama. 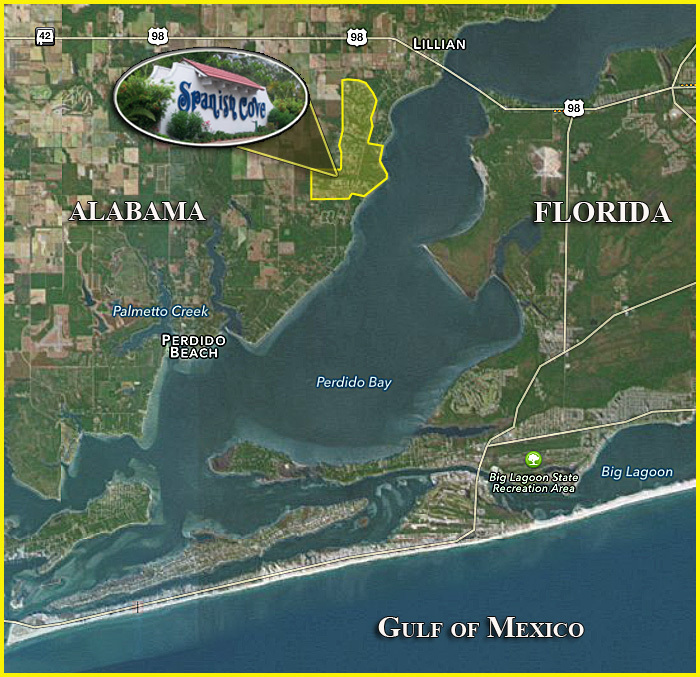 Nestled in a forest of hardwoods and pines on the western shore of beautiful Perdido Bay, this mature community provides a wide variety of living styles with something for everyone. Just minutes away from Gulf Shores, Orange Beach, and Foley in Alabama as well as just across the bridge from Pensacola, Florida, Spanish Cove provides access to a wealth of fishing and boating, golfing, dining, beaches, cultural and other amenities -- and all at a quiet, easy going pace.